Magnification optical aids like the Schultz optical loupes are supposed to enhance your visual acuity and precision and at the same time reduce your risks to various work-related musculoskeletal disorders. If the loupes you are using cause you problems instead of helping you, then you might have chosen the wrong pair. Take a look at these common dental loupes buying mistakes that many dentists and dental hygienists are found guilty of. Dental optical loupes can be quite expensive. That is why many dental professionals tend to get tempted in buying inexpensive loupes that they see online without considering the quality. While it is normal for us to work with a set budget, it is not recommended to buy an inexpensive yet low-quality pair. If you will just settle for low-quality loupes, it is better to not use them at all. Instead of reaping some benefits, you may experience negative effects of low-quality optics like postural issues, musculoskeletal problems, and eye fatigue. Buying a second-hand or used loupe can be a great way to save money. If the loupe you will buy fits you well considering all the important factors like working distance, magnification power, interpupillary distance, depth of field, angle of declination, weight, resolution, and field of view, then you can consider it an excellent choice. However, if the loupes do not meet your needs and requirements, then you are just wasting your money. Ill-fitted loupe cannot give you as many benefits as the one that fits you well. It may even cause musculoskeletal problems and eyestrain. When buying something, we want it to look great and fashionable. And there is nothing bad about that. The thing is, many dentists and dental hygienists tend to pick a frame style that is fashionable and trendy and at the same time affordable without considering its quality. 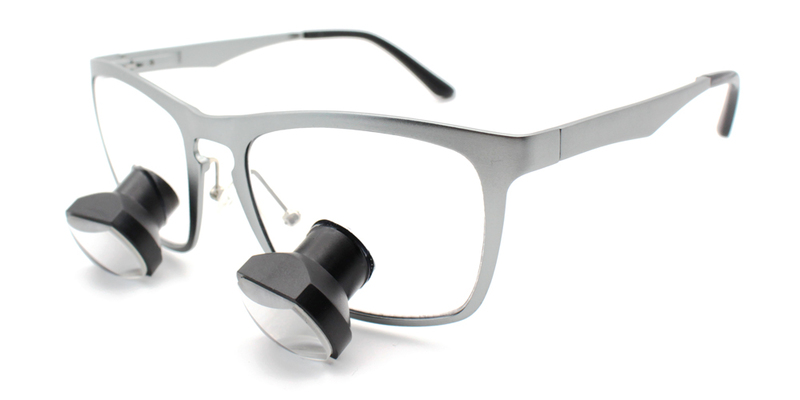 Dental magnifying loupes can be quite heavy depending on the magnification power, the type, and the size of the optical barrels. No matter how light it may seem to be, the weight of the loupe can eventually build-up after hours of use. You don't want a pair of loupes that keeps sliding down your nose, right? If so, then consider buying a high-quality frame. Plastic frames are popularly known for their looks and price. If you are looking for the most fashionable and affordable frame style, the one that's made of plastic is your best choice. 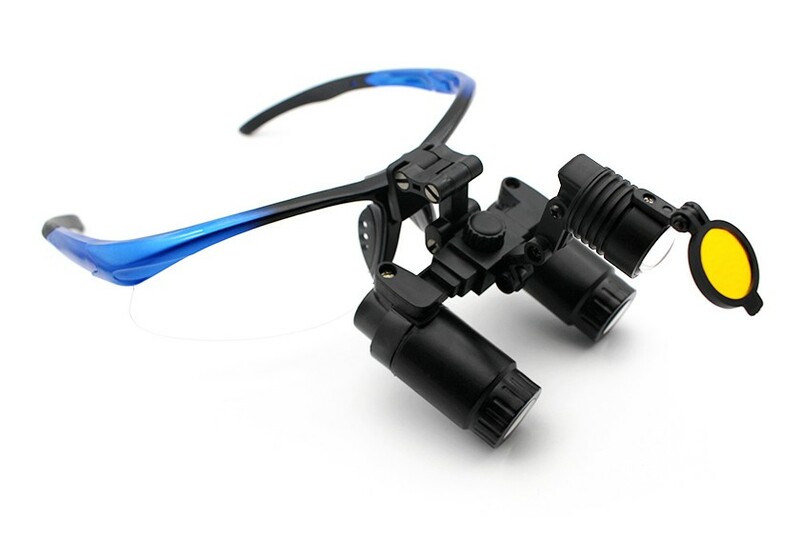 However, because plastics are not that sturdy and stable enough to hold and support the optical loupes for long periods of time, they can also be the most troublesome option. For long-term use, choose the frame style that's made from more sturdy and stable material like the titanium. You can now find nice designs and styles of titanium frames. Although not as fashionable and affordable as plastic frames, titanium frame can be more cost-effective, efficient and ideal for clinical use. This entry was posted in Dental loupes user guide | Schultz Dental surgical blogBy Roger Jing On Feb 15, 2018 .